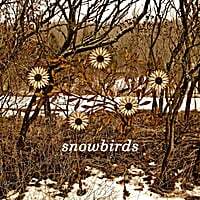 Snowbirds-Snowbirds. This Wisconsin four-piece has released what is possibly my favorite debut of 2011 to date, a highly melodic and heartfelt slice of pop-flavored Americana that fans of The Jayhawks, The Autumn Defense, and last year's find Elvyn will immediately want in their music collection. "Current State" has that Big Star meets The Jayhawks sound that hits the sweet spot, and the pensive "Old Wall" is a beauty. Other standouts include the Ryan Adamsesque "First in Line", the honky-tonk rock of "Shakedown" and the Westerbergian "So Long". All in all, an early line favorite for "Popicana" album of the year. 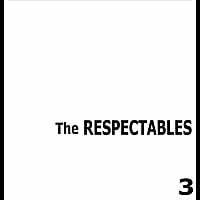 The Respectables-3. 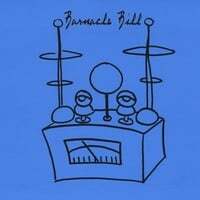 This Detroit-area band continues to deliver the power pop goods, following up their impressive first two-full lengths featured on this site with a 3-song mini-EP that's all killer and no filler. The real gem here is the third track "B Side", which simply - as it's put these days - owns. It's a rocking track that's truly what power pop is all about, right down to the line "I stole my hooks from a Beatles book". Check out the video below. The other two tracks ain't too shabby either: "Check Your Mind" rocks with abandon and melody, and "Wore Me Out" is a bluesy treat. But meanwhile I'll keep playing the "B Side". Hans Rotenberry & Brad Jones-Mountain Jack. I really fell down on the job here, as I missed this brilliant collaboration that came out last November. Especially as I've gone on record gushing over what a genius Jones is, and I'm a fan of Rotenberry's group The Shazam. Anyway, better late than never, and this is a rare case where the whole exceeds the sum of the parts when two talents get together. This isn't straight up power pop by any means, but a more rustic, laid-back affair that has an early 70s Small Faces/pastoral Kinks vibe. Lots of standout tracks, from the genial opener "Count on Me", the hands-down-best-track-on-the-disc "A Likely Lad", the sounds-like-a-Band-classic "Ain't Gonna Hunt Anyone" and the Stonesish "Greef" (get it? "grief" spelled like "Keef" Richards). There are a lot of things I'd do if I had a time machine, but one of them would be to go back and put this in the top 10 of my Best of 2010 list. D.C. Cardwell-Some Hope. Melbourne's D.C. Cardwell is a singer-songwriter that should appeal to fans of Neil Finn and David Grahame, and he has the ability to excel on both the slower, acoustic numbers as well as the up-tempo pop gems. 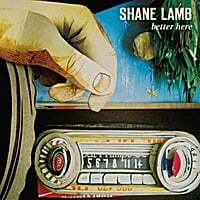 You'll only need to go a few tracks into Some Hope to realize this as the beautiful, gentle opener "I Am Still the Same" and the lovely, spare "Birthday Present" are followed by the catchy power pop of "Peace and Love". Aside from these three, there are plenty of instant classics to go around like the breezy "Way With Words", the harmonica and handclaps of "A Minute of Your Time", and the jangly "Tom is Everybody's Friend". 16 tracks in all here, so it's quality and quantity. I plan on resuming normal blogging later today, but I didn't want to wait on this one. Listen to it here, and download it at the link above.